The newest hip fine dining place in the metro has opened, and it's not making any of the vampires happy haha! 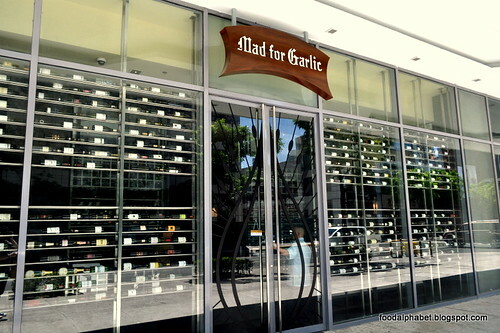 Mad for Garlic in Bonifacio Global city gives us garlic, garlic and more garlic. If you're a fan of garlic, then you definitely have to savour and taste Mad for Garlic, cause this is definitely made for you. But just as much, Mad for Garlic offers great tasting food for the whole family to share and enjoy. From the good people who brought California Pizza Kitchen, IHOP, P.F. 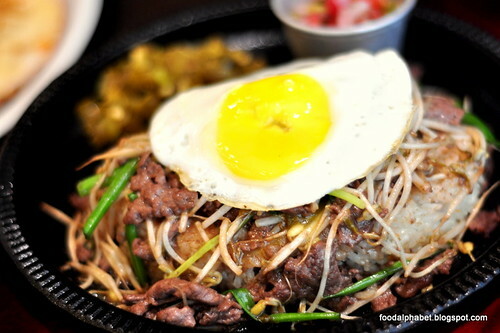 Chang's to the Philippines, comes another great food concept sure to keep you coming back for more. Mad for Garlic traces its roots from South Korea (surprised? So was I), and is making tongues turn as they have blossomed to more than 20 stores. Now that they have finally broken ground in Manila, you can just be sure they will popping up in your neighbourhood soon. 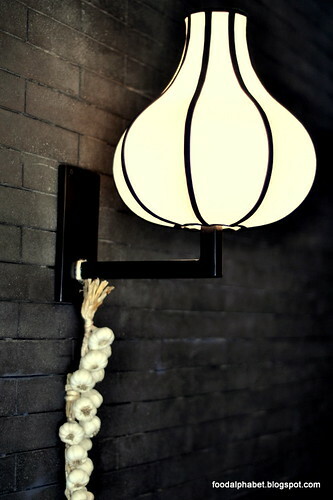 First you'll notice are the side lamps which are actually shaped and presented to you as a giant garlic, whist having real garlic attached on the base of the lamp, which is quite ingenious and very creative indeed. Show your love for the garlic, just think of how many kilos of garlic they prepare everyday. I admit I am a garlic person, even now I can't seem to shake myself for the fact that I do buy from those hawkers on the street selling nuts, and in the process ask for a lot of those fried to a toast garlic bits, to be included in my bag of nuts. Haha I'm guilty. But they are really good. 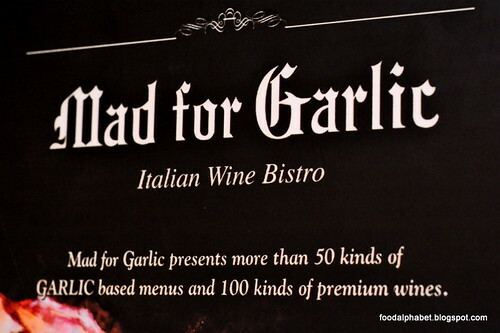 But here in Mad for Garlic, they took it up a notch and made sure your love for garlic would go further up the food chain, and be your choice for casual Italian cuisine. 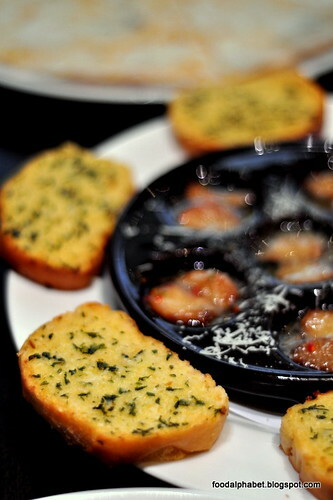 For appetizers, they have come up with indeed a creative name for this, Drakula Killer (P195), made from soft garlic buttered toast bread, served with garlic cooked in olive oil and anchovies. A refreshing appetizer worth coming back for, I still remember my younger days when we bought french bread and toasted them with butter and garlic bits, but of course these tasted so much better. 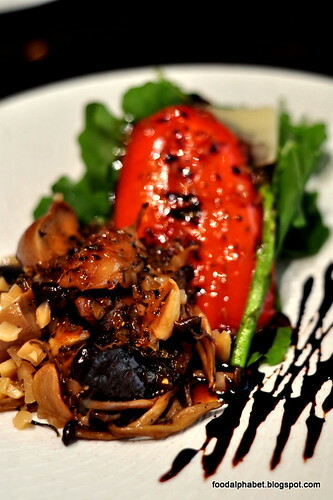 For the adventurous side in you, order the Tutto Mushroom Salad (P665), a combination of three kinds of mushroom served in teriyaki sauce with grilled red pepper, asparagus and argula. 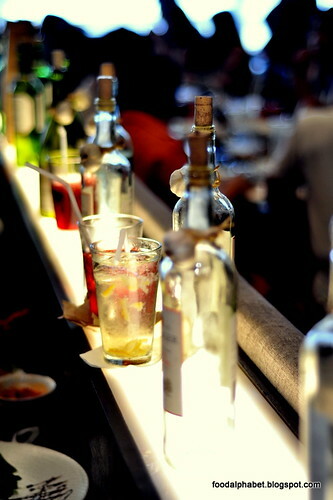 Fantastic, exotic and definitely a must-try! 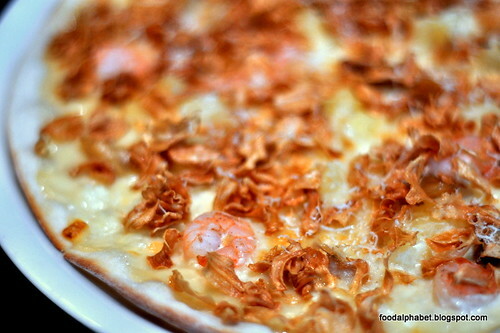 Beware the Garlic Snowing Pizza (P545), aside from the traditional pizza dough this one of a kind pizza knocks us out with over the top servings of fried crisp sliced garlic, topped with shrimp, pineapple to sweeten the deal and a special sauce, you would be craving for more. I honestly thought I just wanted one slice, but when I took a bite, it was the surprise of my life. It took my breath away literally, with fried toasted garlic flavor. If you had to kill dracula, this is it! 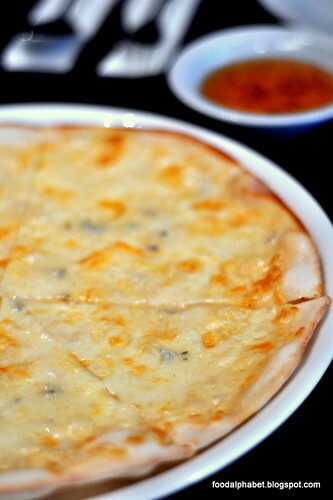 The Gorgonzola Pizza (P475), one of tastiest cheese pizzas I ever had. Topped with gorgonzola cheese and served on the side with honey. Spreading honey on pizza was a first for me, and this won't definitely be the last. The Dancing Salsa Rice with steak (P295), not just your ordinary hot plate serving, an exhilarating dish of dance, tap and more. This dish is served hot while the server is dancing, nah I was just joking, but the dish will be served to you with a lot of action to be done by the server, you just got to order it to find out. 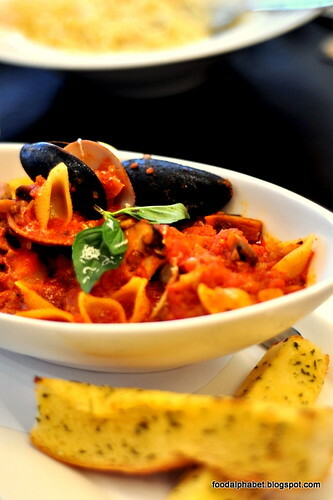 Zuppa di Pesce (P655), is a special spicy soup with various kinds of seafood served with garlic bread sticks. It was indeed on the spicy side, but I liked it nonetheless, the shell pastas was the perfect pasta mix for the dish, as it cups in juices of the soup, making them even more desirable. 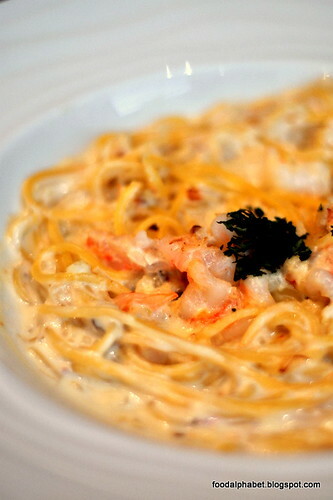 Crab and Lobster Pasta (P475), is a garlic and cream sauce pasta with crab and lobster meat, simple as it may seem, the scent of crab and lobster, 2 of the best seafoods there is coupled with the ooze of their rich juices, makes this a hard to top off pasta dish. 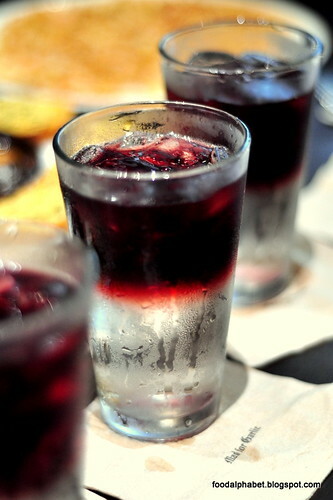 To cool us down, try the Wine_Ade (P170), an interesting and unique concoction of red wine and soda. Cold and sweating, this tasty mix of flavors will summon the inner you and definitely be on your new favorite drink list. Time for some dessert, and of course since we are in Mad for Garlic, the dessert is never spared. 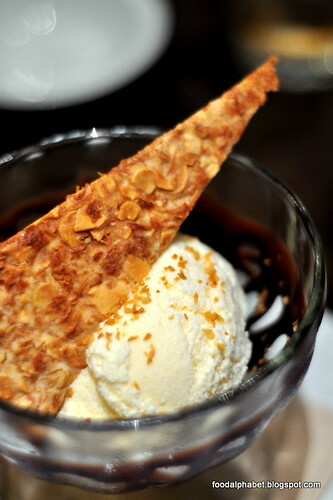 Have a taste of Garlic Spinkle Gelato (P175), Mad for Garlic special garlic ice cream with garlic cookie. You'll never look at gelato the same way again. Sweet, Spiced and everything Garlic, that's what Mad for Garlic is all about. Enjoy great tasting Italian food, a unique dining experience and glasses of good wine to chat the night away with friends. Mad for Garlic has been making waves across Asia, with branches at Jakarta, Singapore, Korea of course and now the Philippines. See more of them pop out soon in the metro. 30th St. corner 9th Ave.
For more news on promotions from Mad for Garlic, like them on Facebook www.facebook.com/MadforGarlicPhilippines and follow them on Twitter www.twitter.com/MadforGarlicPH.